How Much Did Jill Stein's Flight Mix-Up Harm the Environment? Above all else, Dr. Jill Stein is green. Or so we thought. The Green Party candidate had to delay her rally at Capital University in Columbus, Ohio, after she accidentally flew into Cincinnati instead. As her 100 fans at the university waited for her to take the stage, “local Green Party members took the podium to speak, with one centering on student loans and debt,” reports the Columbus Dispatch. “They just got on the road and will be two hours late. Things happen,” the president of Capital University Greens Student Organization announced to the crowd. You read that correctly. Jill Stein, a presidential candidate whose environmental platform is “let’s break free from the fossil fuels,” took an unnecessary flight and then drove two hours just to make a 100-person rally. And Stein will have to travel back to Cincinnati on Sunday to host another rally, meaning the wi-fi ambivalent presidential candidate sure is indulging in the luxuries of fossil fuel-burning these days. The EPA reports the average vehicle releases 411 grams of CO2 per mile. The drive from the Cincinnati/Northern Kentucky International Airport to Capital University in Columbus is 124 miles, meaning her drive released a mere 50.964 kg of CO2 into our fragile atmosphere. Not too bad, right? While the two-hour drive from the two Ohio cities has a negligible impact on the environment, flying to Cincinnati in lieu of Columbus is a whole other story. 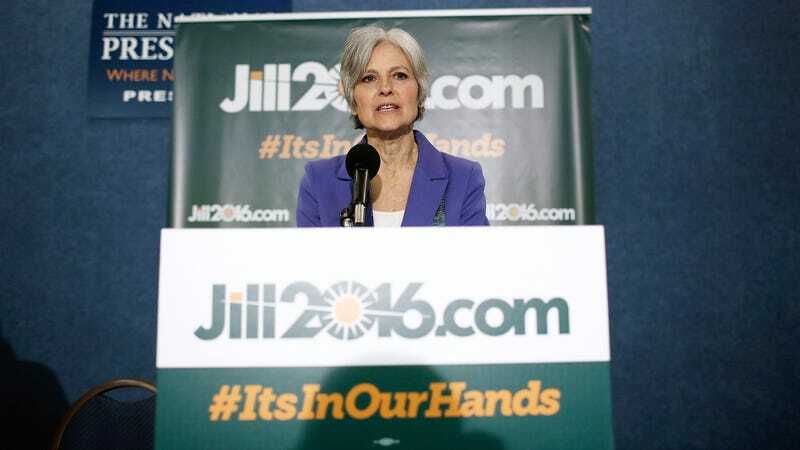 It remains unclear where exactly Stein was coming from. If we assume she flew out of LaGuardia Airport in New York—her campaign headquarters is in Brooklyn—her flight to Cincinnati emitted approximately 3,134.2 kg of CO2. A flight from LaGuardia to Columbus, however, only emits 2,680 kg of CO2. How Stein can remain the Green Party candidate while treating the Earth in this irresponsible is a mystery within itself. Considering she called her competitors “fossil fuel-funded candidates who are continuing to fan the flames of the burning planet,” it seems she has a lot of soul-searching to do.